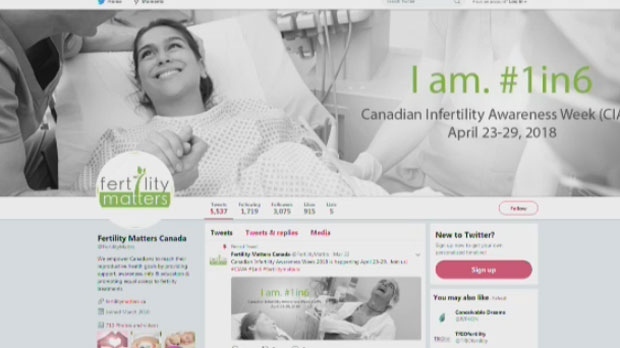 Roughly one out of every six Canadians will struggle with infertility at some point, but as Canada marks Infertility Awareness Week, a group of advocates is hoping to break the taboo on the topic. Carol Chevereau-Bennett had struggled to conceive for several years. She said that by telling her story, she hopes to empower others to speak out on a sensitive topic. 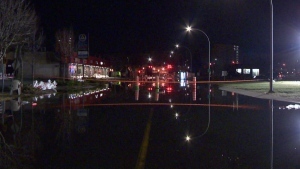 This year, the event, normally held in May, is taking place from April 23 to 29. In a statement, Fertility Matters Canada Executive Director Carolynn Dube said the change is due to the stress faced by many women struggling with infertility around the time of Mother’s Day. In 2015, the Quebec government cut funding for in vitro fertilization treatments, though some people may still be eligible for a tax credit. The move was criticized by fertility experts and sufferers, who said the procedures can be expensive, especially when repeated efforts are needed. Chevereau-Bennett called on the federal government to create a program to help all couples struggling with issues conceiving. Throughout the week, Fertility Matters will be sharing stories from those who have have problems conceiving, as well as expert advice on their website. Fertility Matters Canada is encouraging Canadians to share their stories on social media using the #1in6 hashtag during Infertility Awareness Week between April 23 and 29.